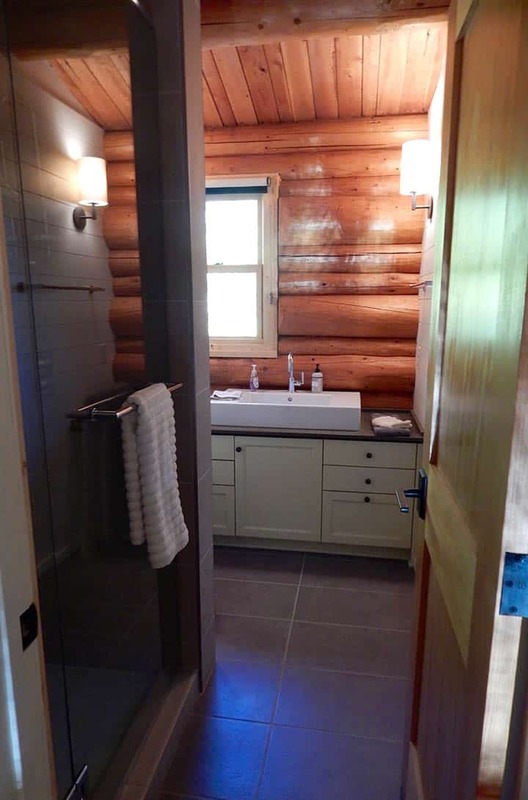 Whether you like to sleep under the stars or cuddle up in a cozy cabin with a kitchen, bathroom and gas fireplace for those cool evenings; Voyageur Canoe Outfitters offers something for everyone. 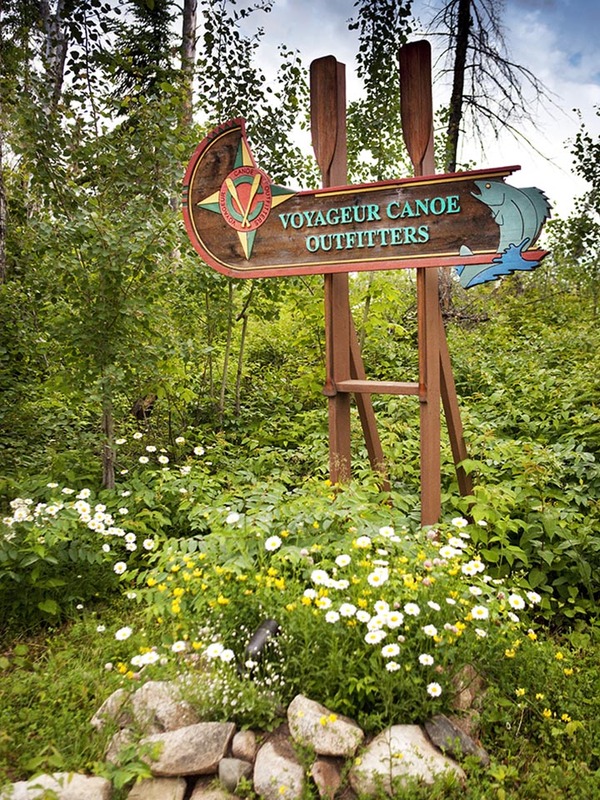 Voyageur Canoe Outfitters is a Gunflint Trail Resort located at the end of the Gunflint Trail adjacent to the Boundary Waters Canoe Area Wilderness. 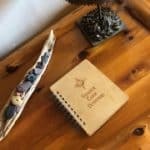 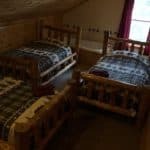 Voyageur Canoe Outfitters offers a variety of lodging choices for your stay depending upon the type of accommodation you would like. 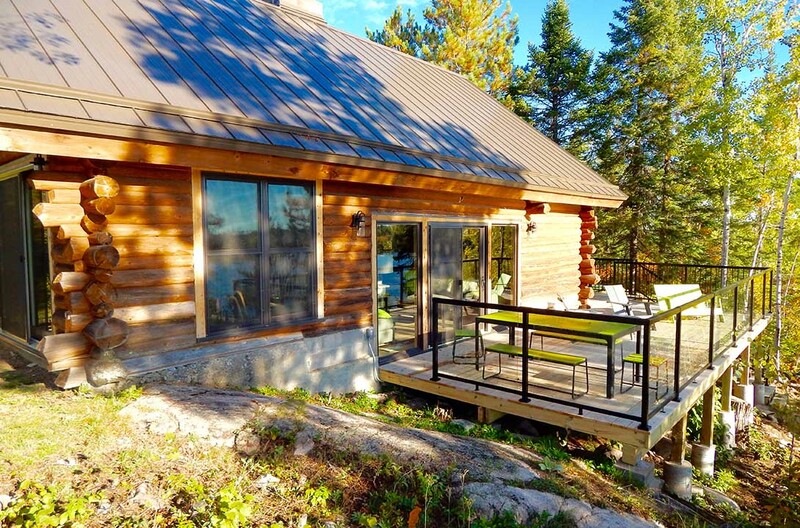 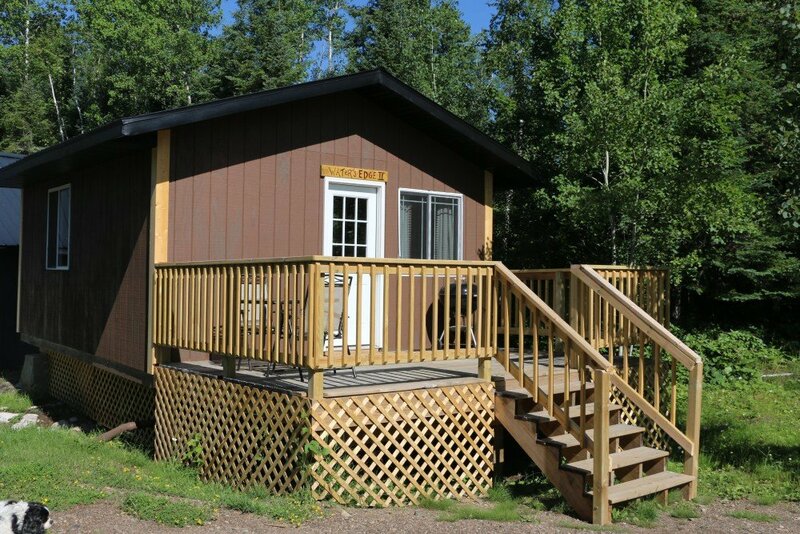 Our Riverside Cabin is a two-bedroom modern cabin right on the bank of the Seagull River. 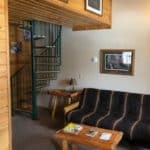 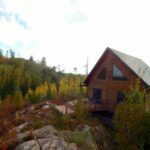 Paddler and Angler are one-bedroom lodge hideaways with a fully equipped kitchen and a whirlpool bathtub located upstairs in the loft. 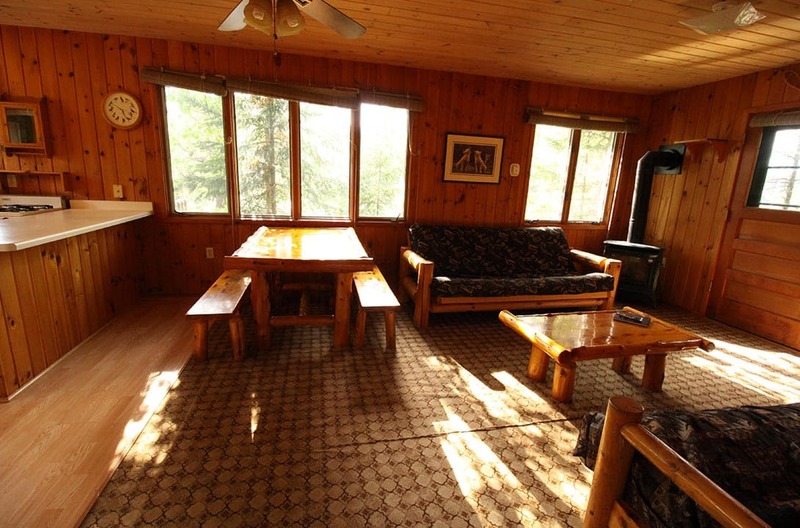 Black Bear Cabin is a rustic cabin set back in the woods on a piece of our property only accessible by boat or canoe. 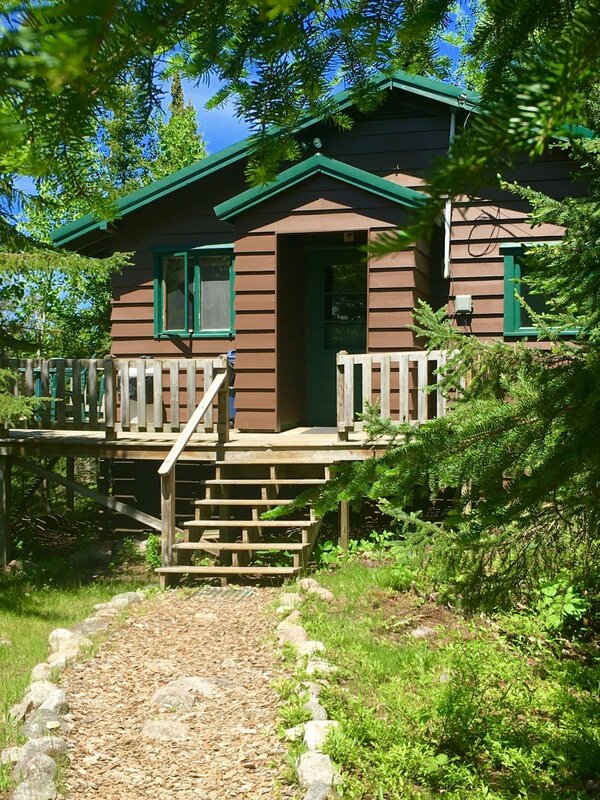 Water’s Edge Cabin is our vacation rental located one-half of a mile from Voyageur on Saganaga Lake. 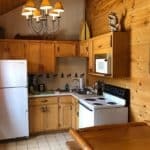 Picture beautiful, spacious, one to two bedroom cabins; full kitchens with electric appliances, including microwave, toaster and stove; airy, light-filled living rooms with gas stoves (cozy on cool evenings) and comfortable furnishings with rustic, Northwood’s touches. 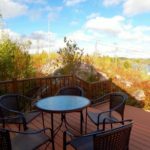 Spend some time conversing with friends or family while relaxing upon a beautiful rock ridge or patio with day-long sun exposure and lovely lake breezes. 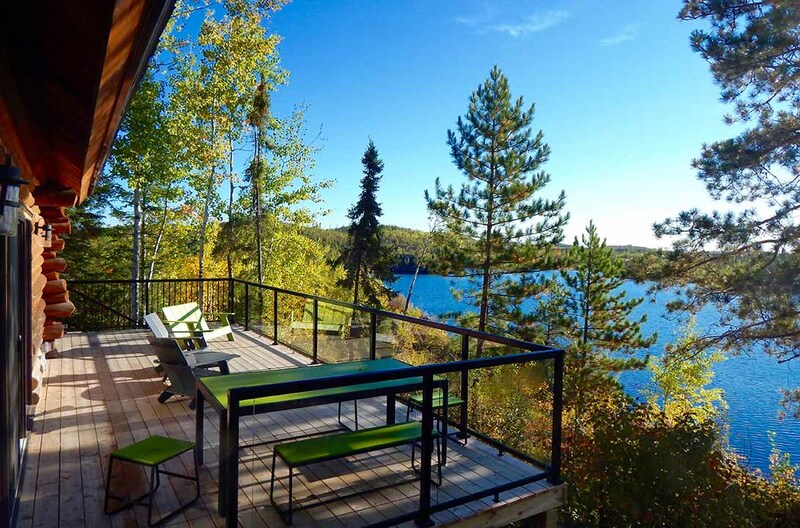 Use your secluded sundeck to enjoy the lake and gorgeous forest views. 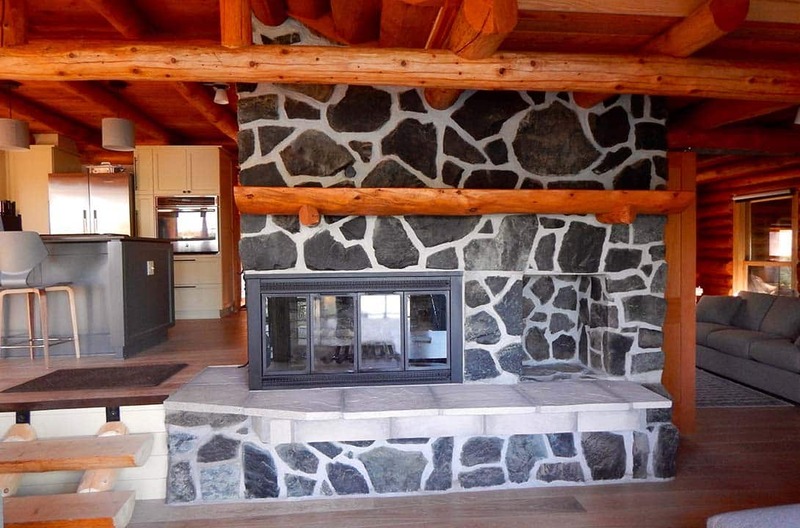 Take an evening stroll to a nearby fire pit for an evening snack of smores. 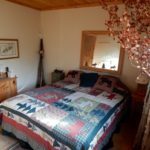 If you are patient, you might even experience a fox sighting. 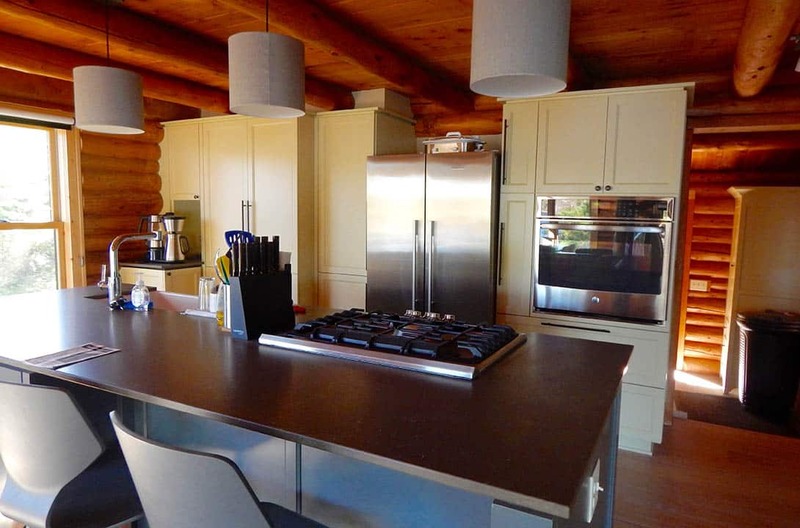 The sundeck of each cabin includes a barbecue grill. 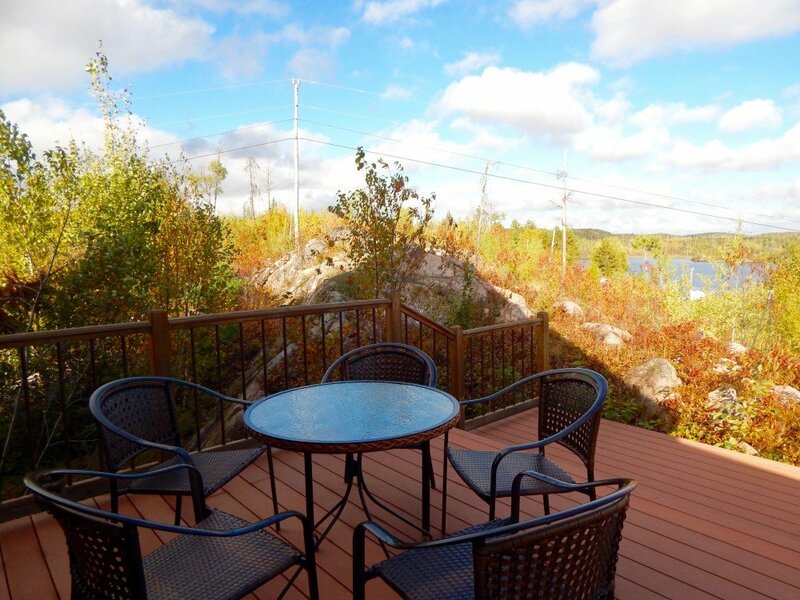 Take advantage of it while enjoying the view from your “woodsy, upscale” accommodation. 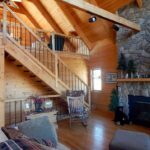 Swim or fish from your own private dock or rent one of our boats for a day filled with island exploring and even more fishing. 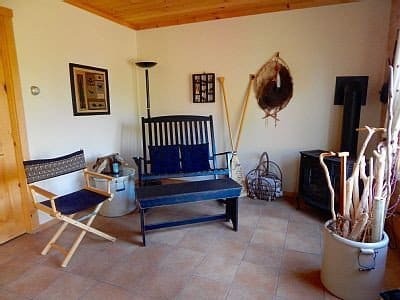 Fry up your freshly caught fish on the grill and mingle with other guests or merely hike on one of our trails to picnic alone under the sky. 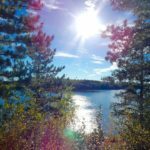 Take a complimentary canoe trip down the Seagull River and lose yourself in the lingering morning fog, or simply go for a short walk to the nearby Chik-Wauk Museum for an educational experience, followed up with a tasty lunch at one of the many Gunflint restaurants. 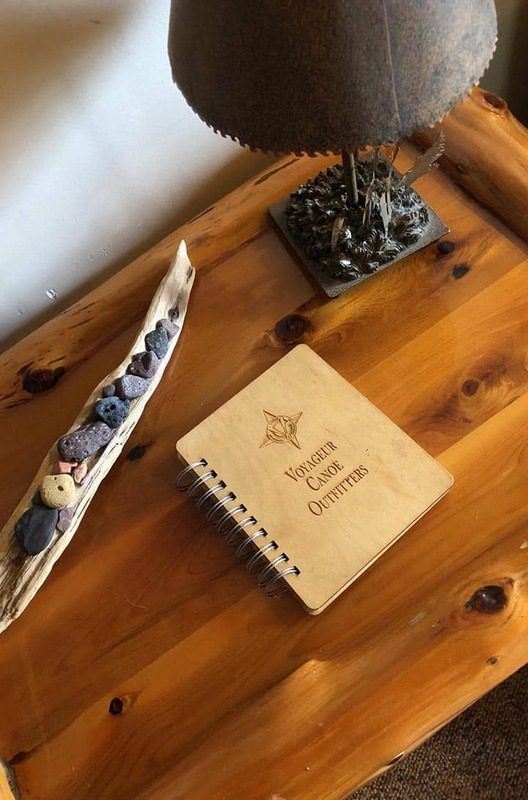 These are just a few of the many options available to you when you become a guest of Voyageur Canoe Outfitters. 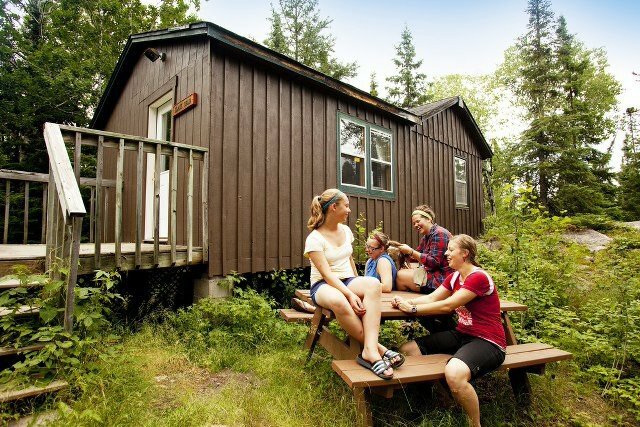 We would love to have you here this summer. 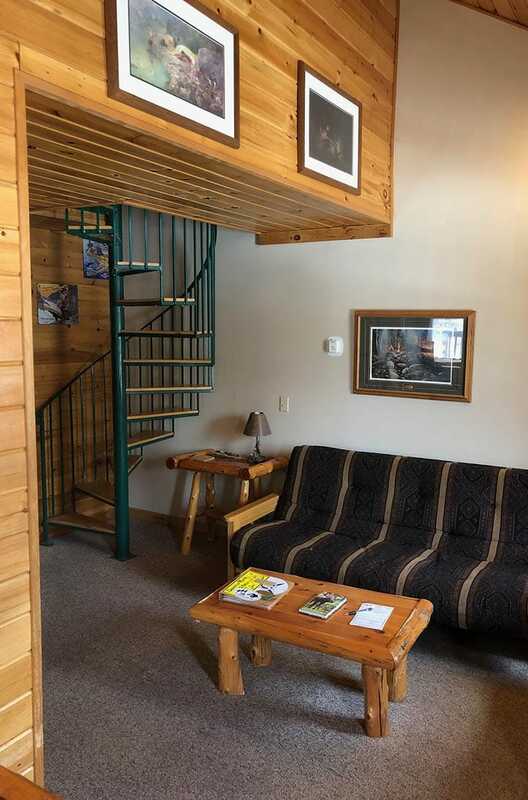 Call us today or make your reservation online to book your next cabin stay or to inquire about future availability. 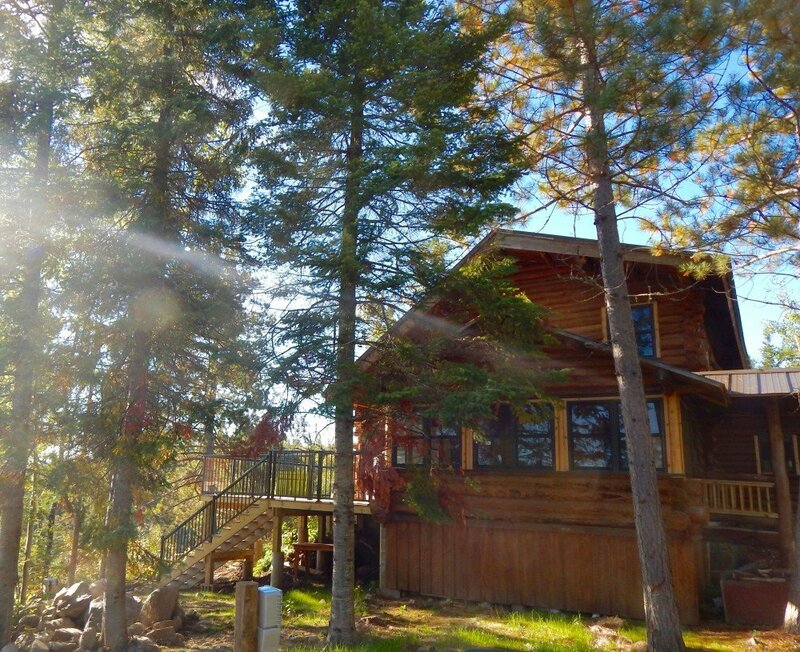 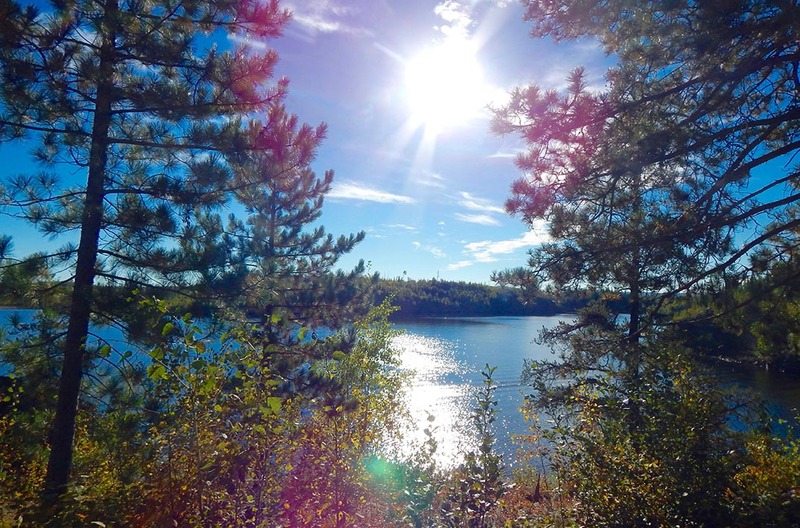 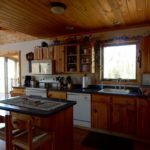 Riverside Cabin is just a short boat ride away from the BWCA Wilderness and Saganaga Lake. 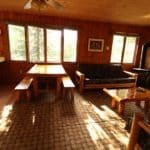 Voyageur Canoe Outfitters is located at the end of the Gunflint Trail and Riverside Cabin is located directly to the north of the lodge and outfitters. 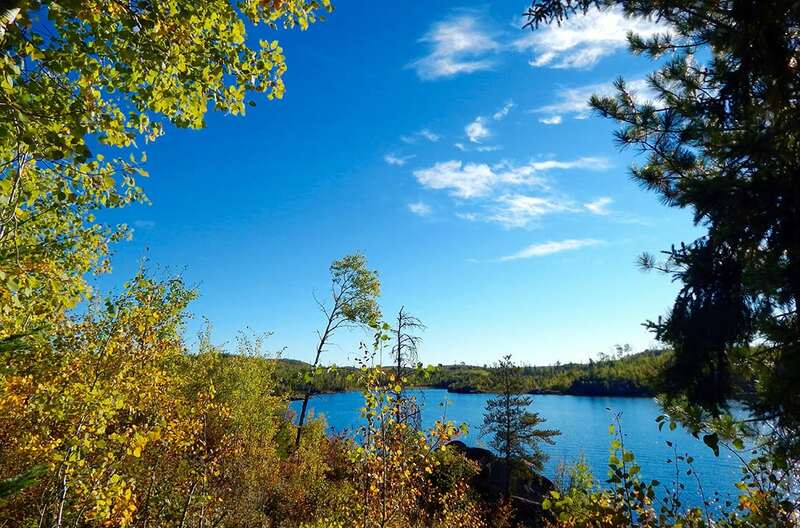 The BWCAW and the Superior National Forest provide all the recreation opportunities a person could want while vacationing. 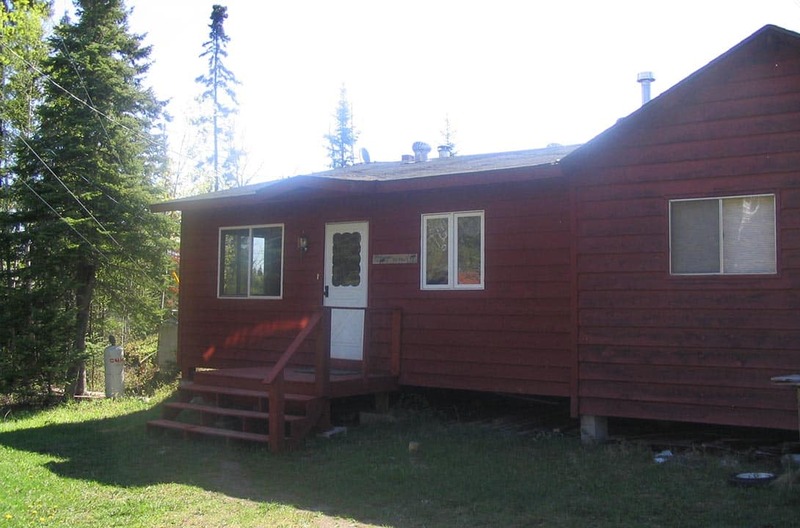 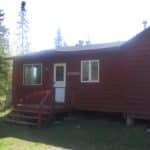 Families and fishermen alike love to stay in this beautiful two-bedroom cabin with an awesome view of the Seagull River. 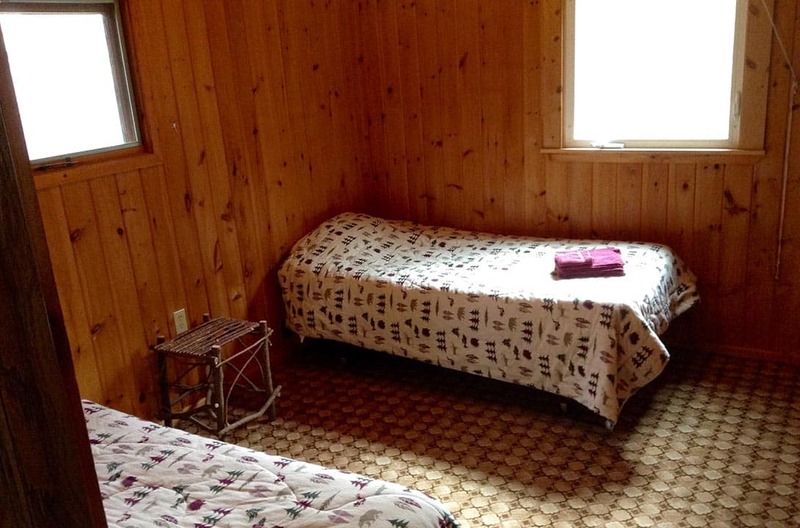 One bedroom has a queen-sized bed and the other has two twin-sized beds. 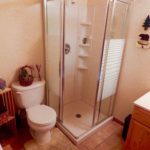 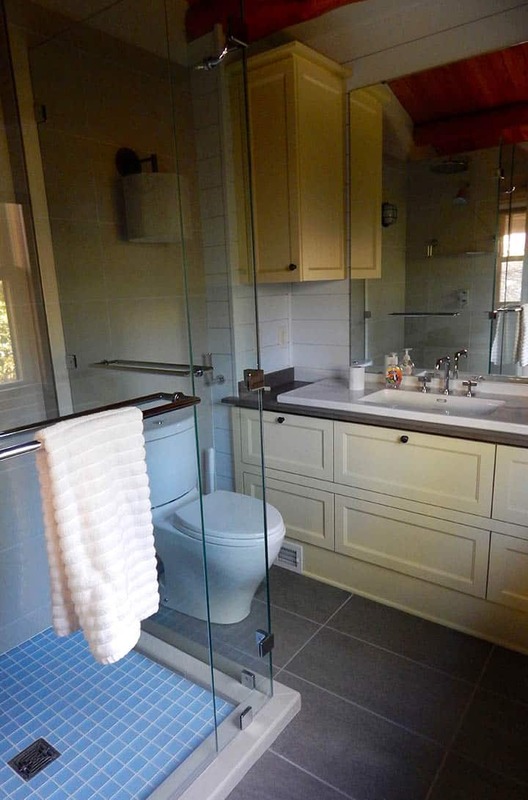 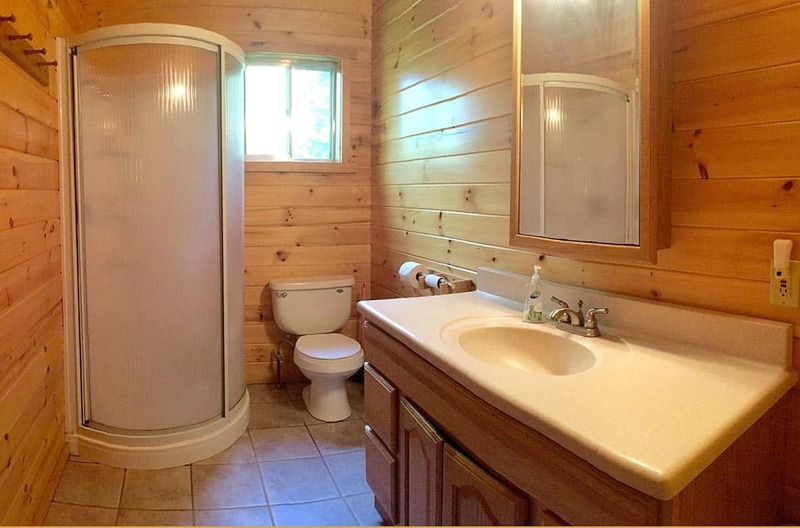 There is a bathroom with a shower, sink and extra closet space, a full kitchen and a spacious living room. 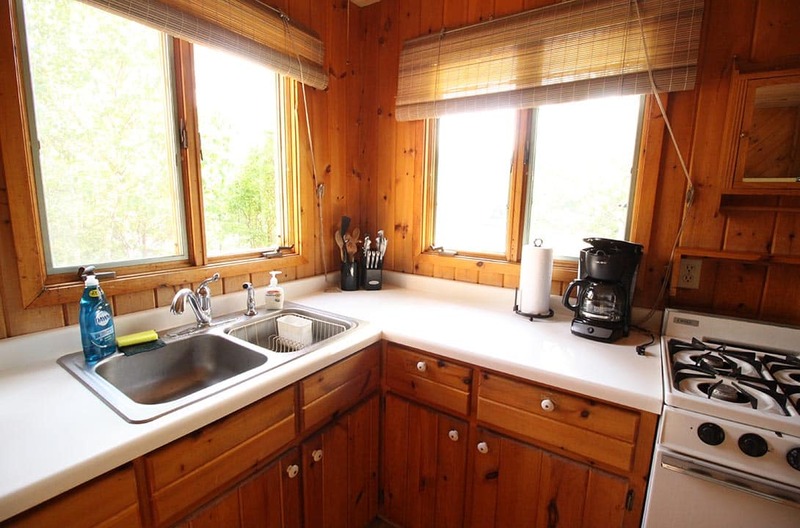 The large plate glass window adds to the charm of the cabin. 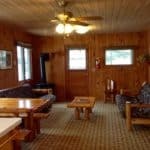 Guests enjoy their private deck and dock and can experience all the area has to offer while staying in Riverside Cabin. 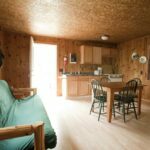 Angler and Paddler are spacious lodge hideaways with direct access into the BWCAW for day trips. 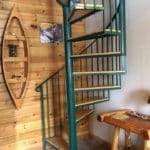 They are perfect for people who want to fish on Saganaga or canoe the BWCA Wilderness during the day and relax in comfort at night. 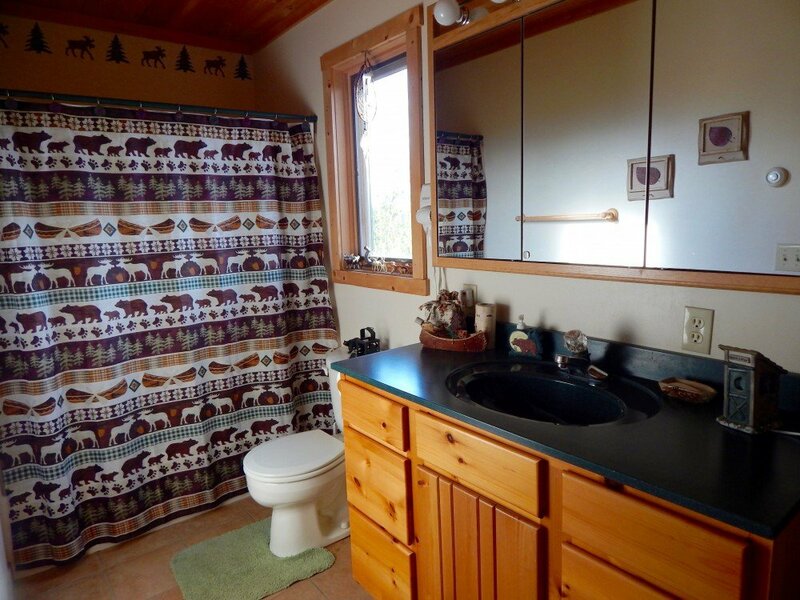 Each unit is tastefully decorated in northwoods décor. 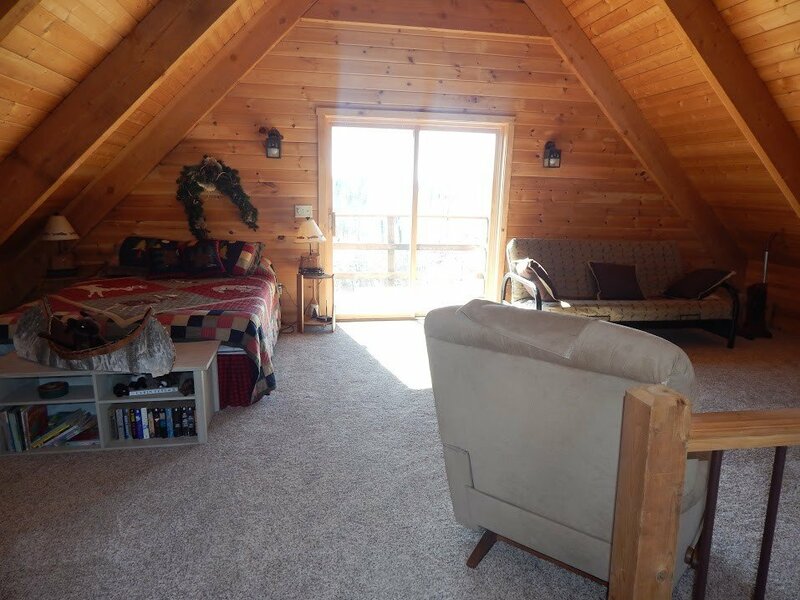 Paddler features a full-size cedar strip canoe hanging from the ceiling to add to the charm of the unit. 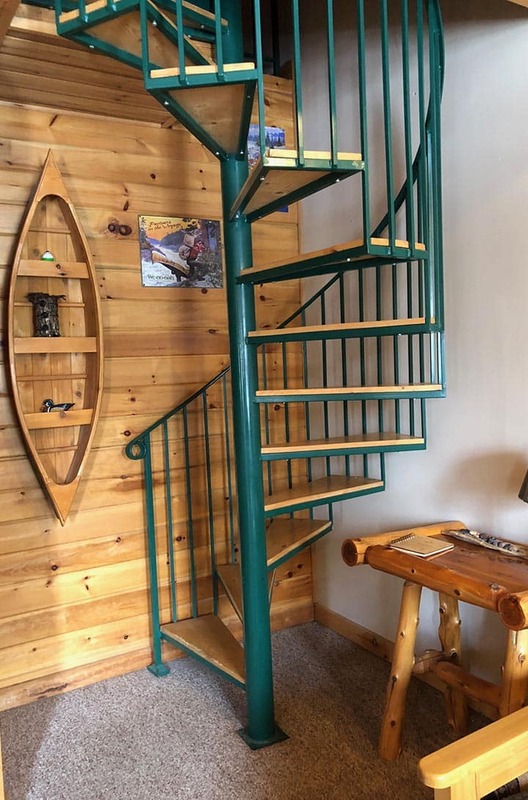 Angler is decorated with all types of fishing paraphernalia. 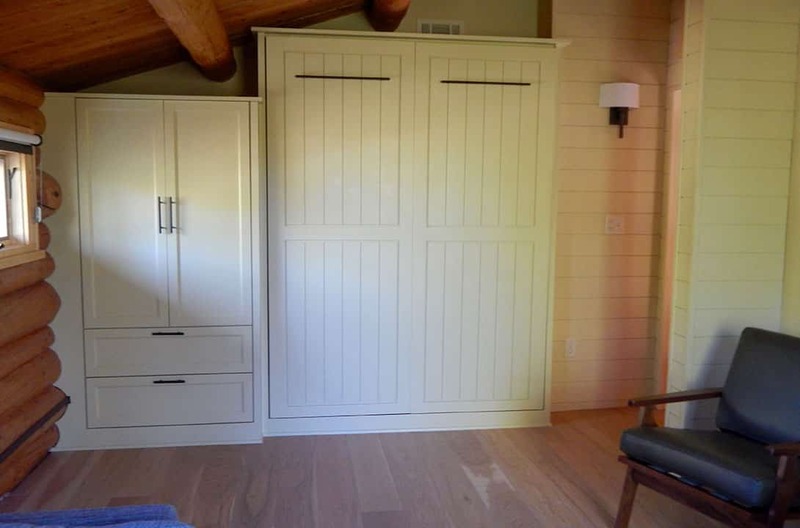 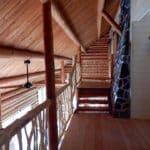 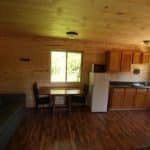 The lodge units are just like individual cabins with private access from the deck. 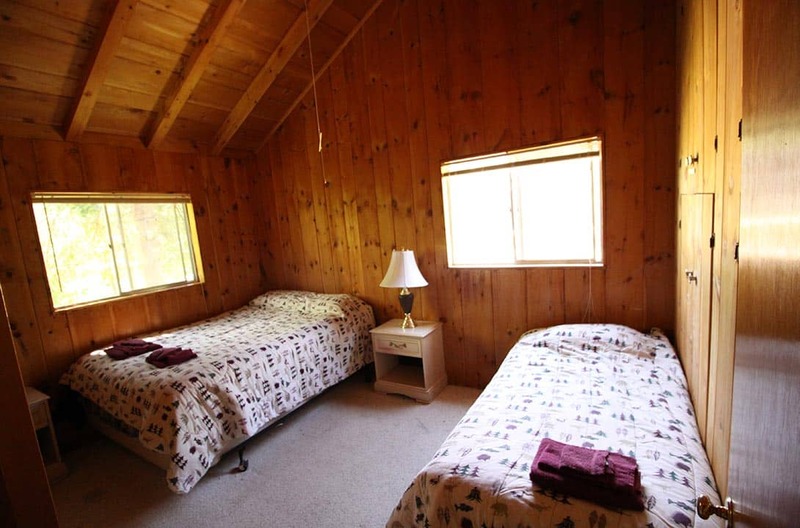 Each unit has a private bedroom with a queen-sized bed and a loft with twin beds. 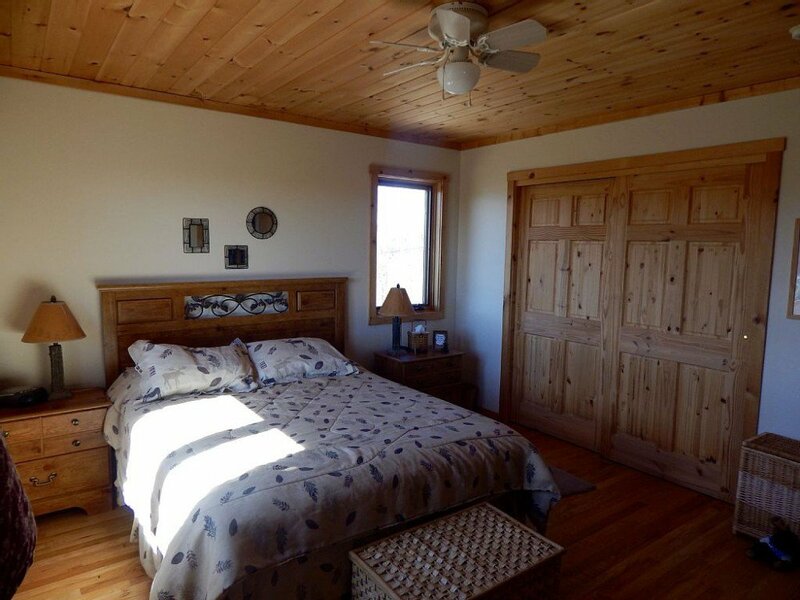 There is a full kitchen, bathroom with shower, living room with a gas fireplace and a whirlpool bathtub in the loft. 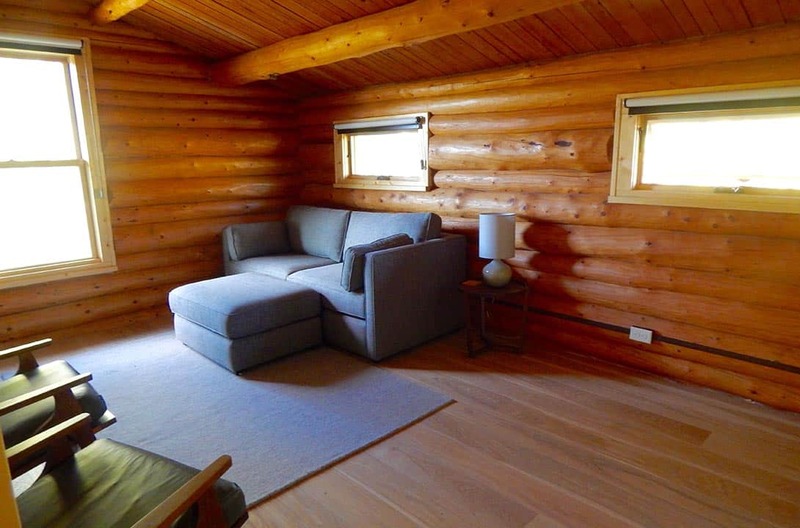 There is also a futon sofa sleeper in the living room. 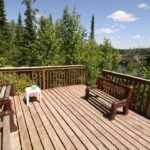 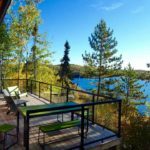 There is a wrap around deck with patio furniture and a dock for your use while staying in the lodge..
Black Bear Cabin is just a walk away from the BWCA Wilderness. 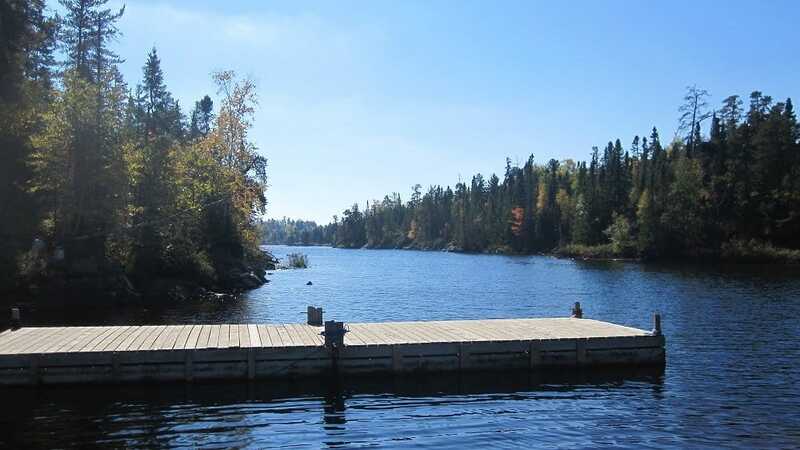 It is located on the opposite shore of the Seagull River and is only accessible by boat or canoe. 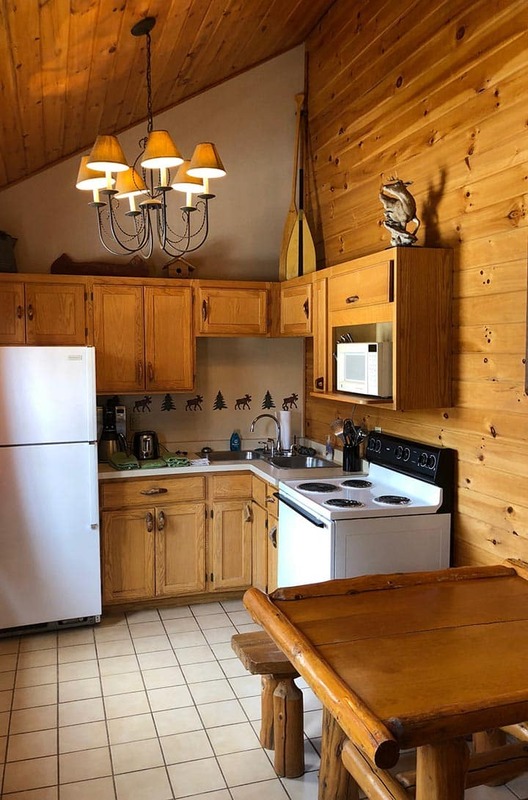 There is a rustic charm to Black Bear Cabin as there are no roads leading to it and it is set back in the woods away from waterfront activity. 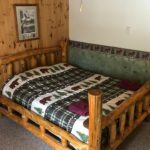 Guests return year after year to enjoy a step back in time when staying in Black Bear. 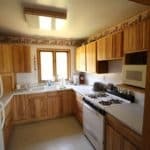 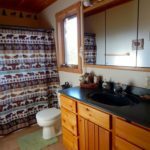 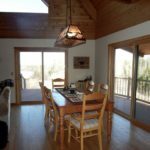 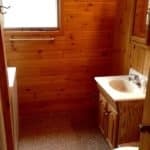 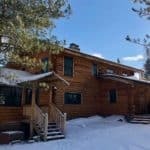 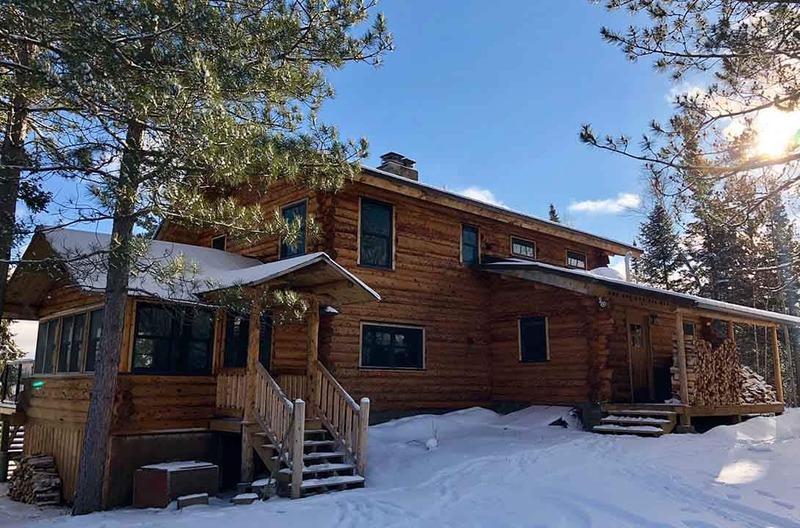 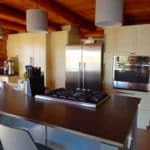 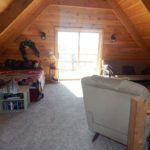 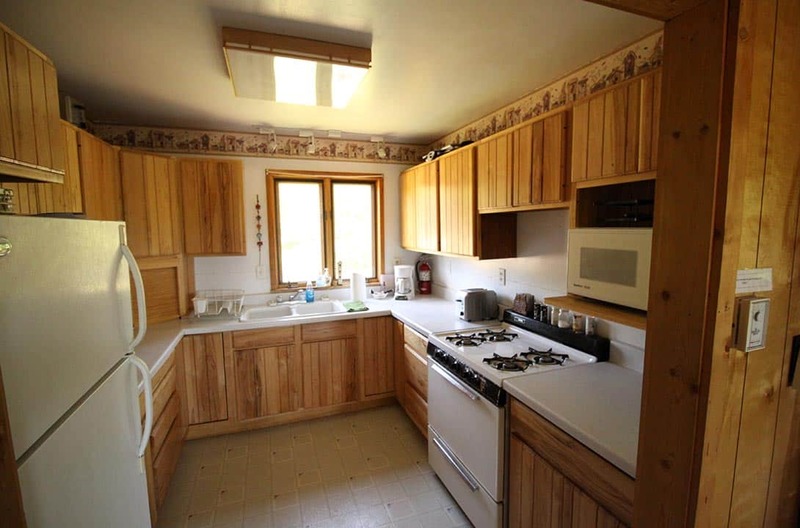 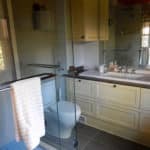 There is electricity and running water in the kitchen and guests use the bathroom and shower that is located a few hundred yards from the cabin. 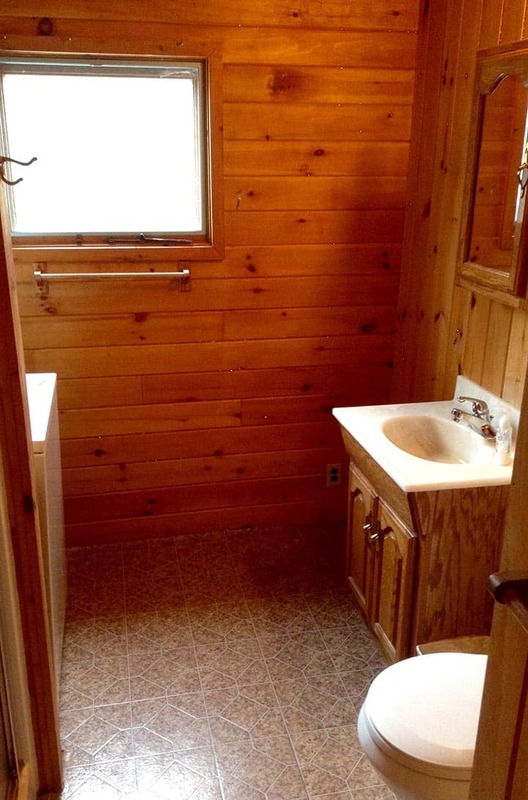 There is also an outhouse adjacent to the cabin to experience a true wilderness adventure. 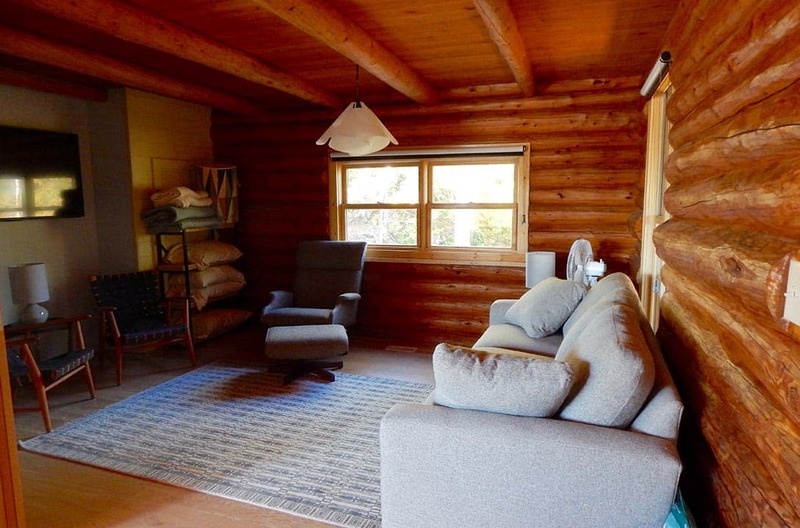 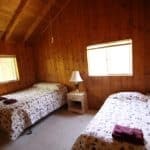 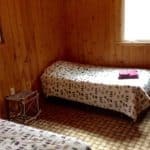 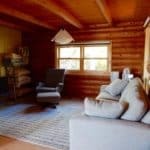 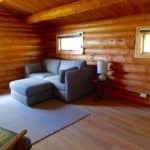 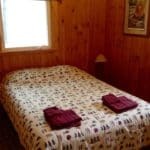 The cabin has two rooms; the back room has a queen-sized bed and two twin beds and the front room has a full living room with a futon as well as a fully equipped kitchen. 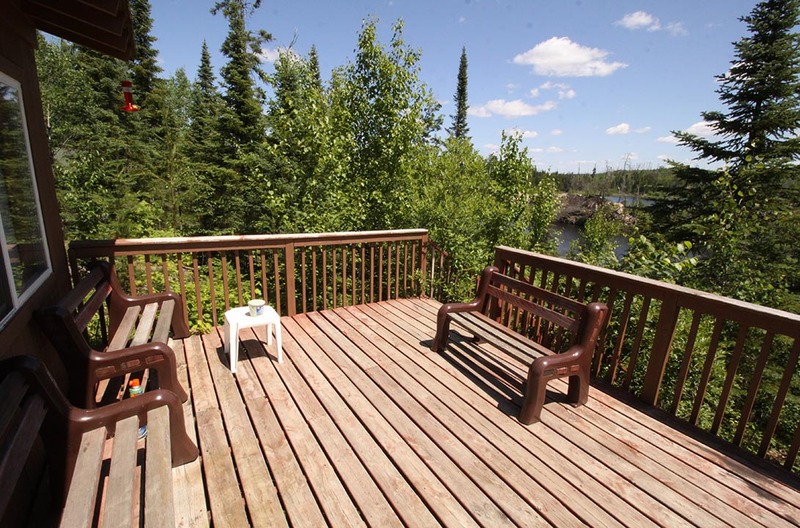 There is also a private deck and dock on the river for use during your stay in Black Bear. 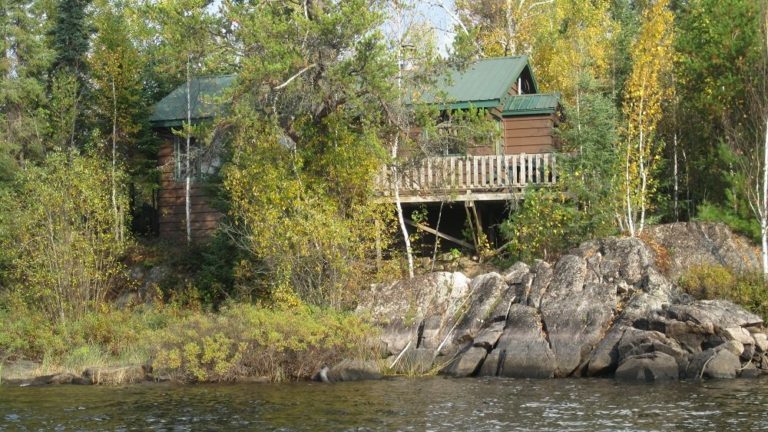 Water’s Edge is located right on the Saganaga Lake Channel just minutes from the BWCA Wilderness. 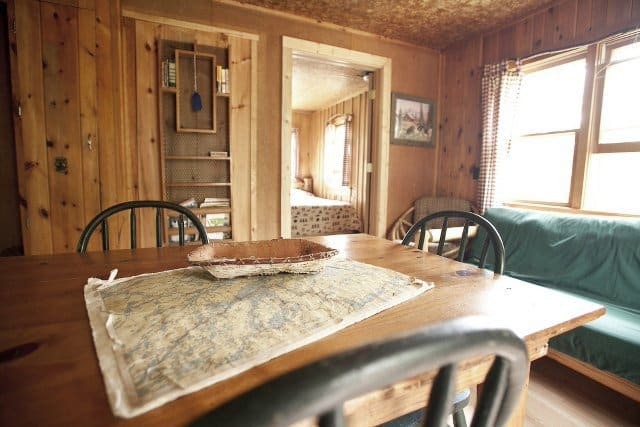 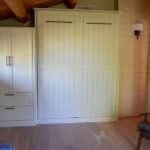 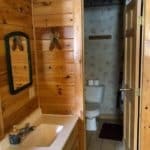 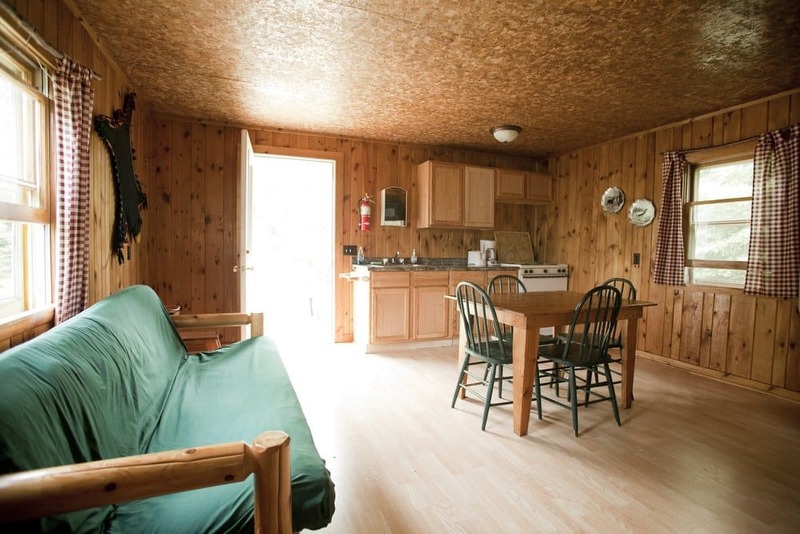 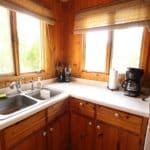 It is a private cabin located one half of a mile from Voyageur Canoe Outfitters. 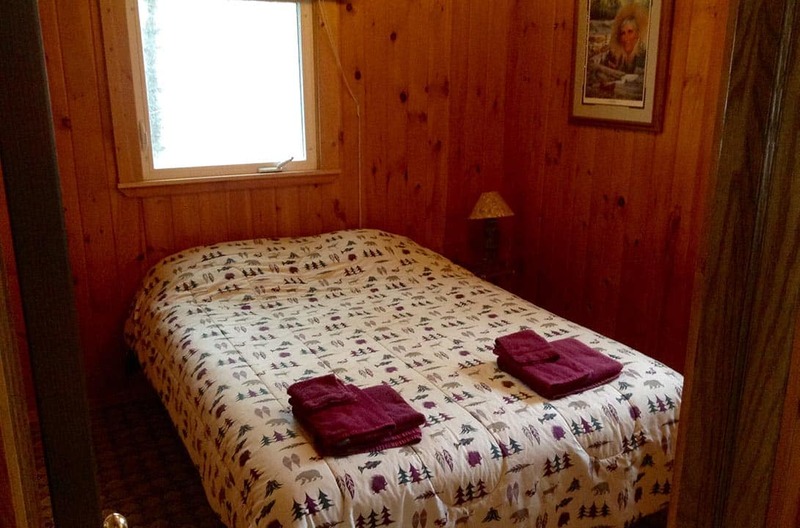 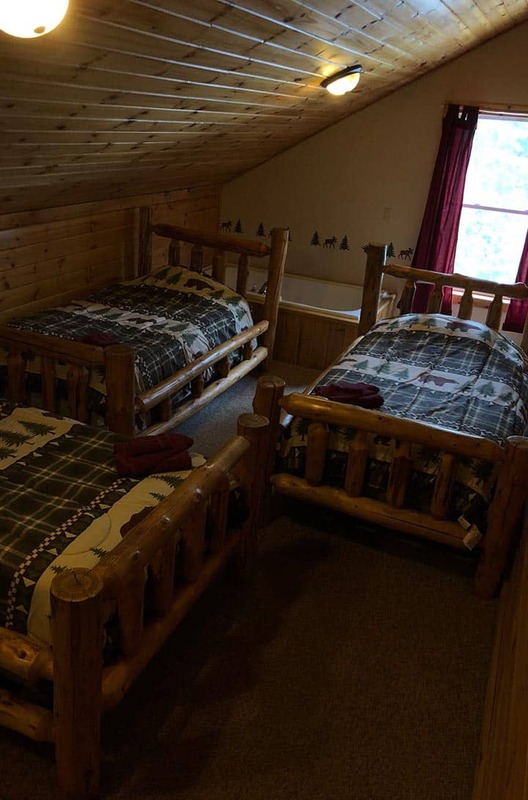 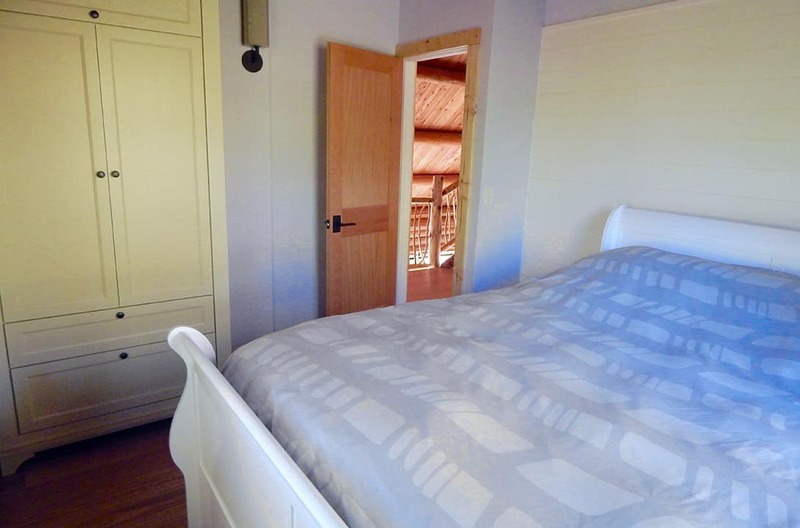 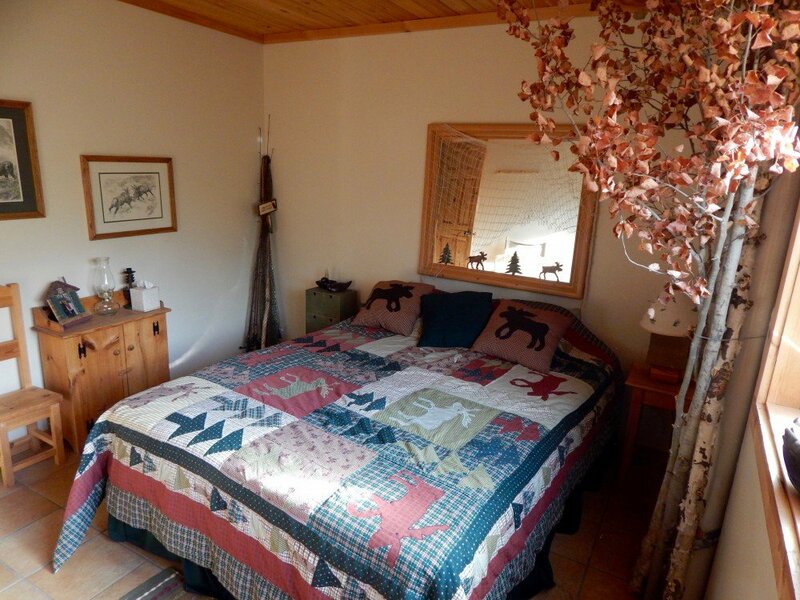 This large cabin has two bedrooms, one with a queen-sized bed and one with two twin-sized beds. 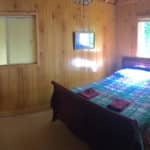 There is also another sleeping area with a double bed and a sofa sleeper in the living room. 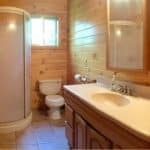 There is a bathroom, fully equipped kitchen, large living room, spacious deck and a private dock with direct access into Sag Lake. 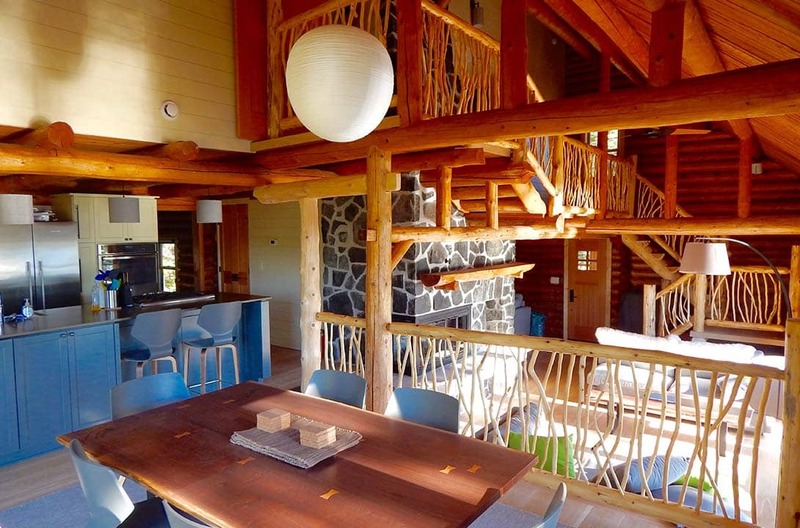 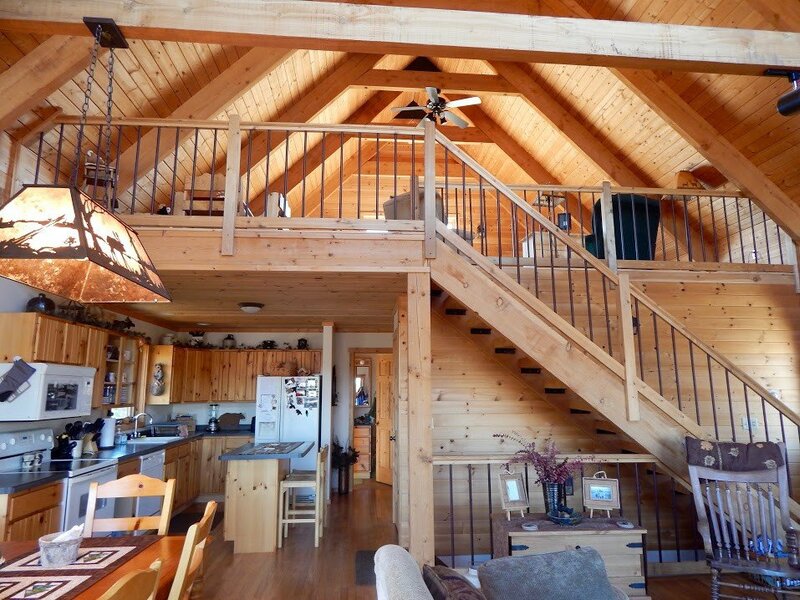 This cabin is perfect for large families or a group of friends. 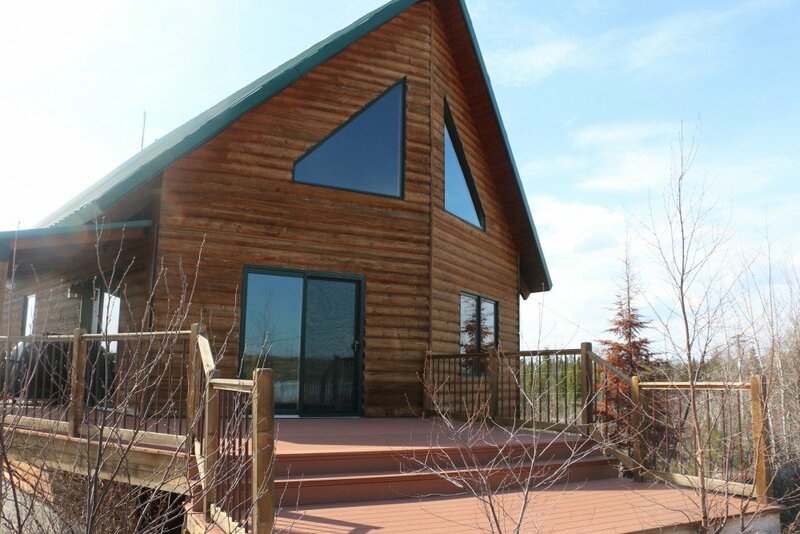 Also located on the same property as Water’s Edge is Water’s Edge II. 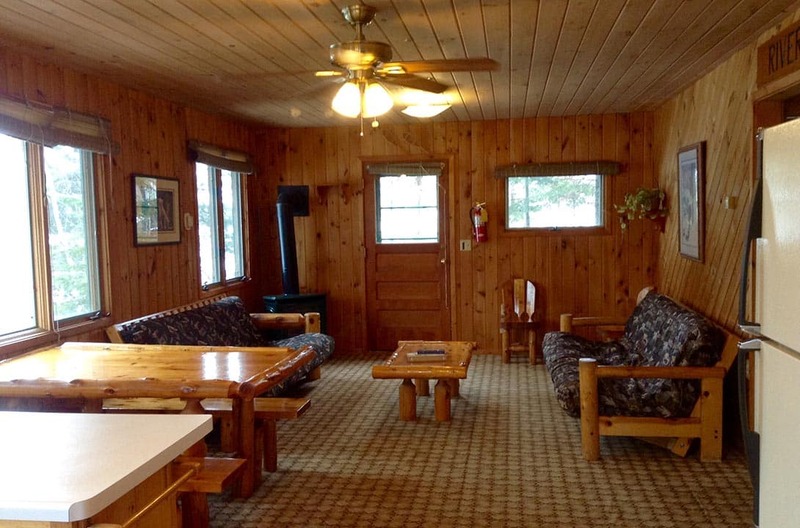 This is a small guest cabin located right next to Water’s Edge. 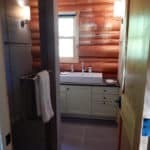 It has a bathroom, small kitchen and sleeping quarters. 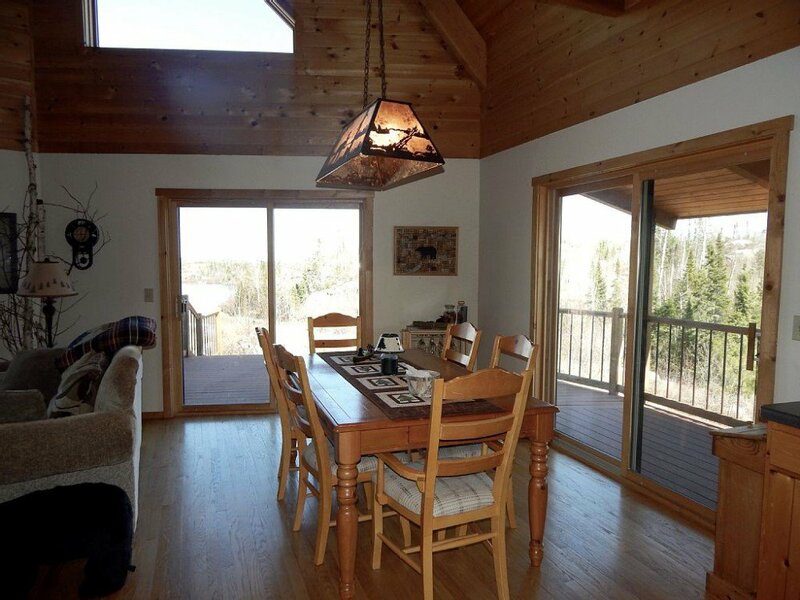 There is a screened in deck that is perfect for relaxing in the evening. 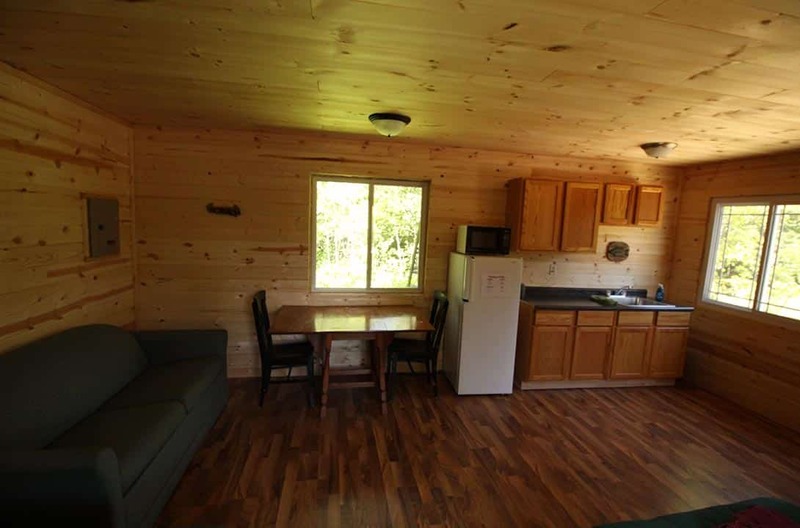 This cabin can be rented in addition to Water’s Edge Cabin for a large group of people. 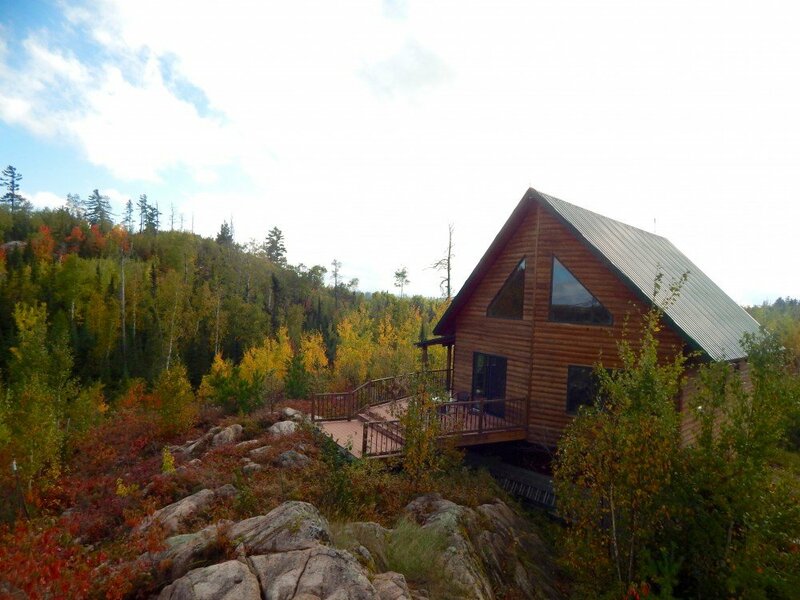 A cozy cabin with a great view of the wilderness! 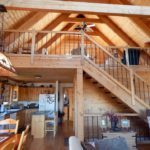 This cabin offers three decks to enjoy the surroundings and two private bedrooms plus a loft that includes a queen bed and a futon for lounging. 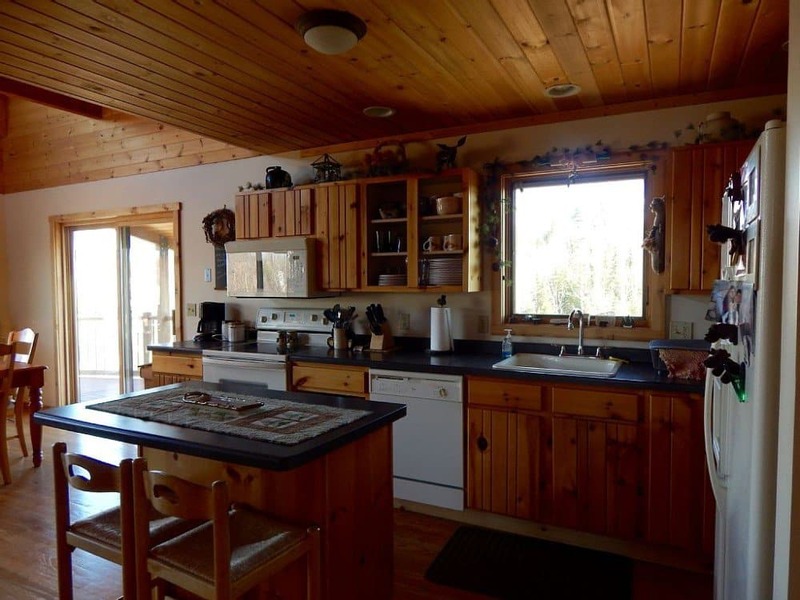 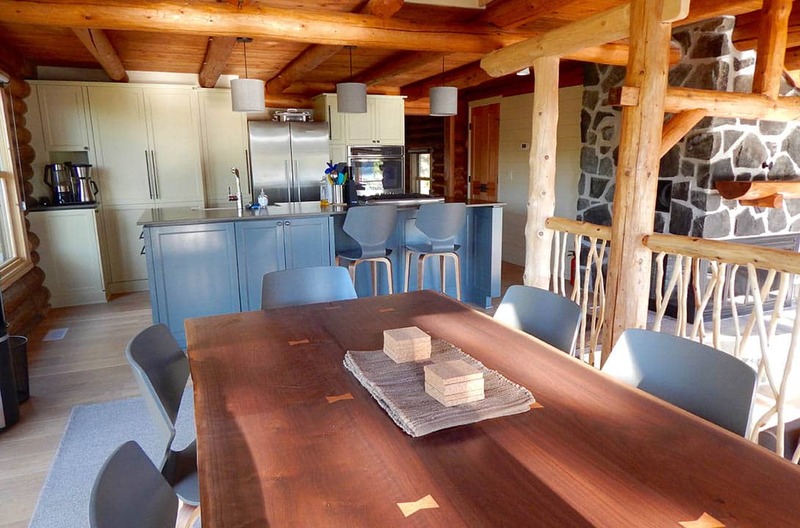 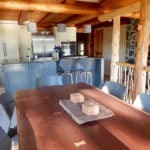 The view from both the full kitchen and family dining/living room includes the beautiful lakes of Saganaga and Gull. 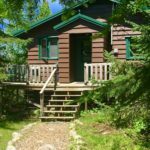 Each cabin comes with a canoe for enjoying the surroundings and there are many different opportunities for hiking along the historic Gunflint Trail. 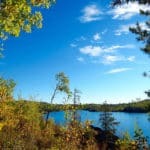 Top of the Trail is located on lake Saganaga and offers unbeatable scenery in all seasons. 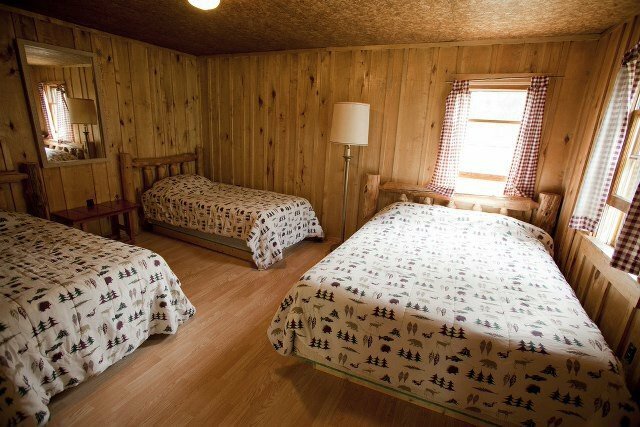 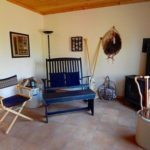 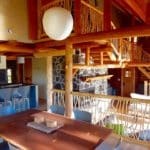 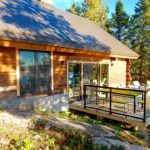 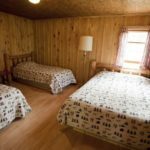 The cabin was renovated in the summer of 2016 and is equipped with all new appliances and furniture. 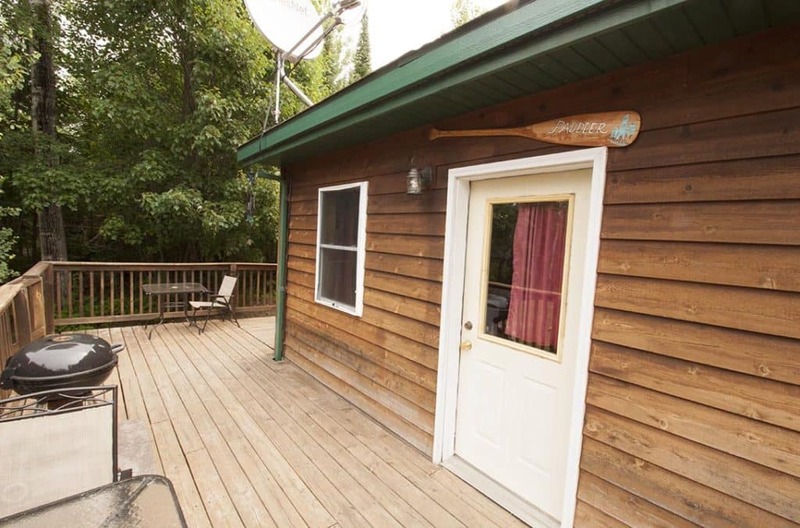 The deck looks over the lake and has an accessible dock for renter’s use. 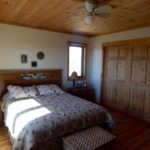 There are two bed rooms, one with a queen bed and one with a pull-out couch accompanied by a murphy style queen bed for extra guests. 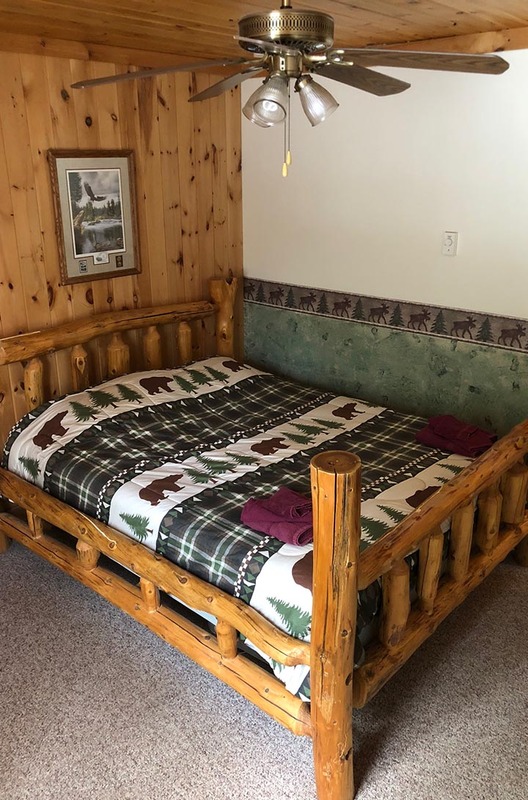 There is another queen-size pullout bed in the downstairs living room. 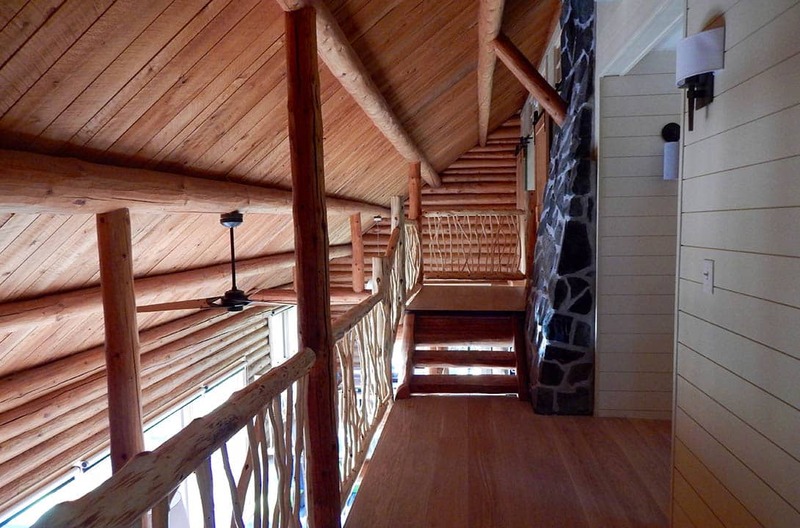 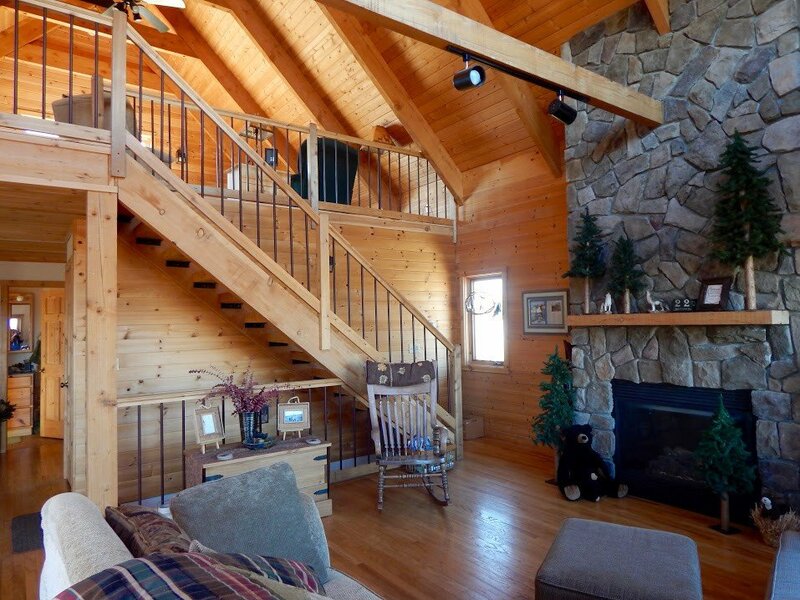 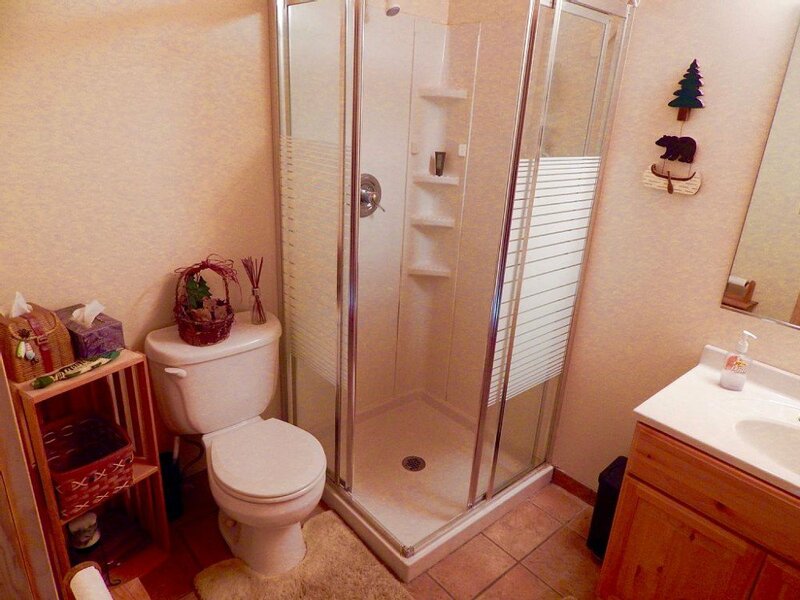 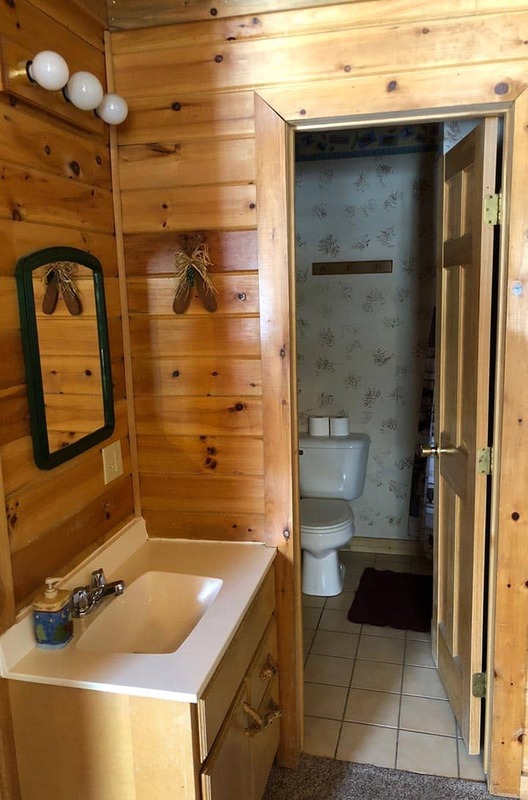 The cabin has two bathrooms, one upstairs and one down stairs. 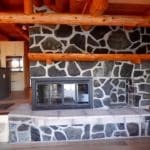 The wood fireplace gives a very welcomed rustic touch and adds to the ambiance on cold fall and winter nights. 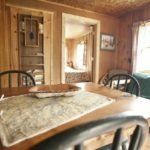 The cabin has many windows that allow for a flood of natural lighting and is spacious so it is a great option for small or big groups!